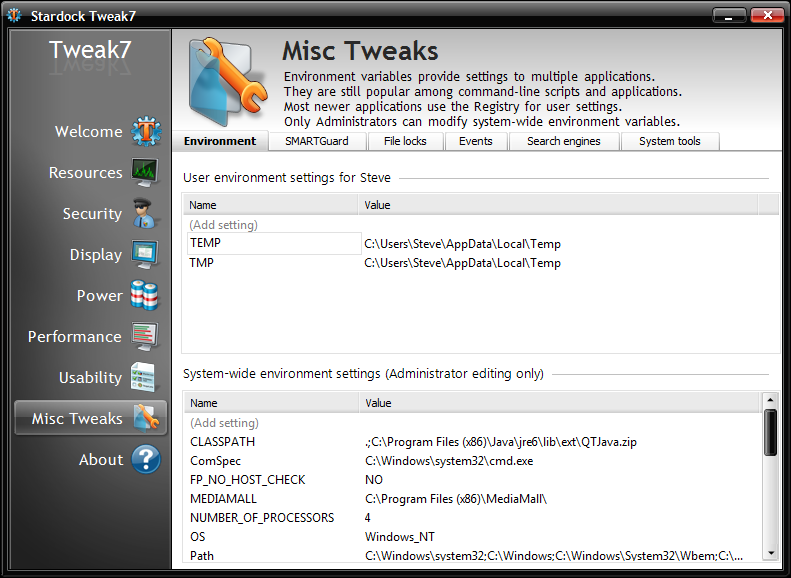 Unlike other power tools for Windows, Tweak7 automatically prompts enhancement recommendations, offering easy "one click" updates	to otherwise complex configuration changes. Tweak7 is also safe to use. By utilizing Microsoft's system-restore technology any changes you make can easily be rolled back. You can freely experiment with different settings without disabling your computer. 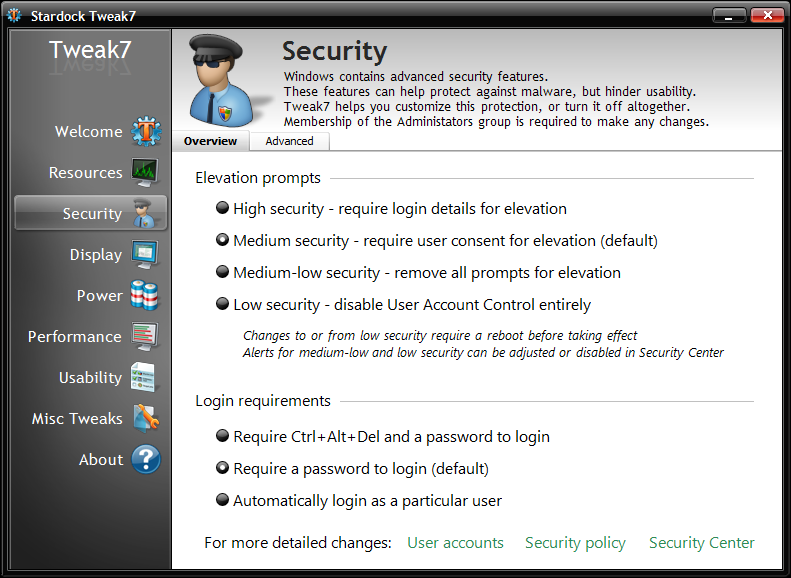 Security - Tweak7 has easy to configure security settings for managing the new security features of Windows 7. 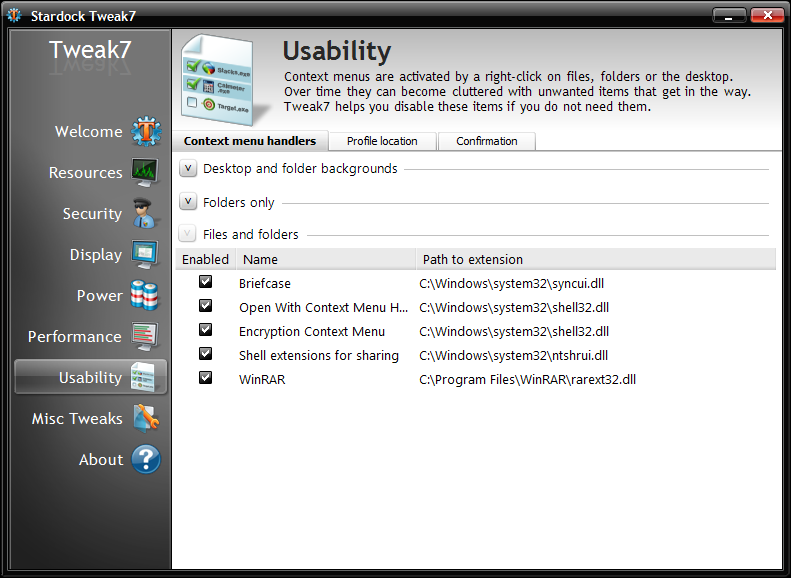 If you've found some of the security prompts in Windows 7 getting in your way, Tweak7 offers relief. Start-Up Manager - See what programs are being launched on start-up (even ones that you may not be aware of) and quickly find out what they are doing and whether you need them. 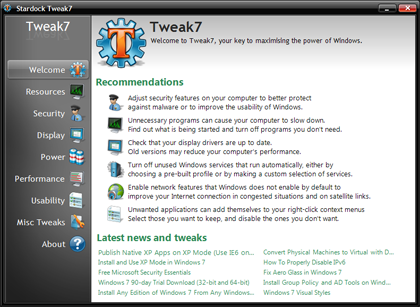 Internet Optimization - Tweak7 can improve your Internet surfing performance by changing the underlying Internet settings on Windows 7 to fit the capabilities of your PC. 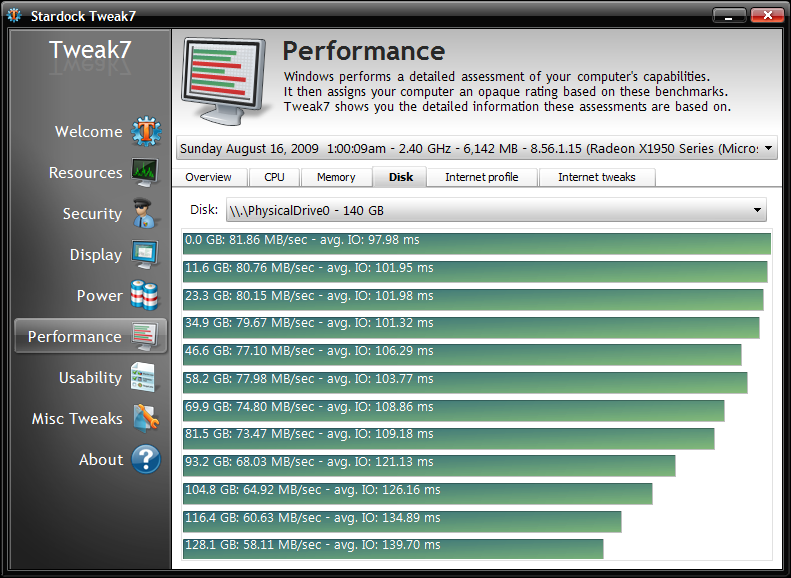 Performance Optimization - Tweak7 knows all the default services on Windows 7 and many of them are not needed for most people. 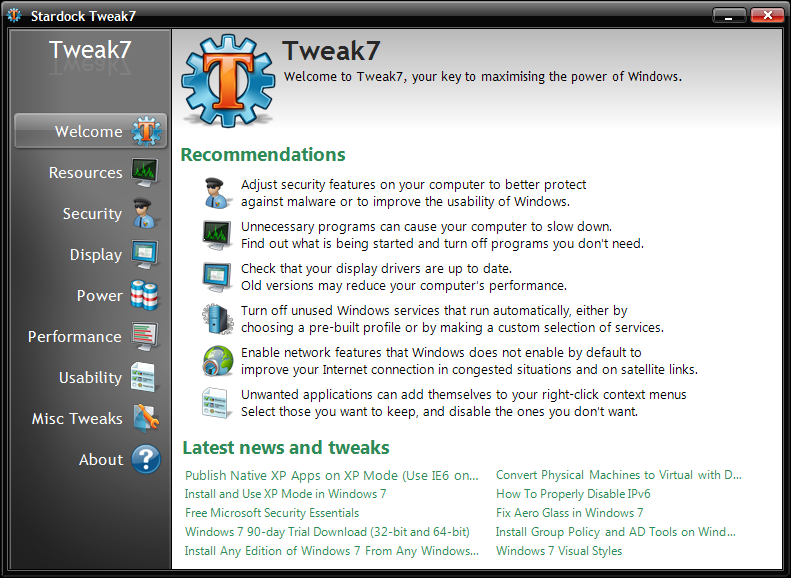 Tweak7 can safely guide users through common user configurations to optimize performance and memory use. Process Identification - Leveraging the community, users can read and create information regarding each process currently running. 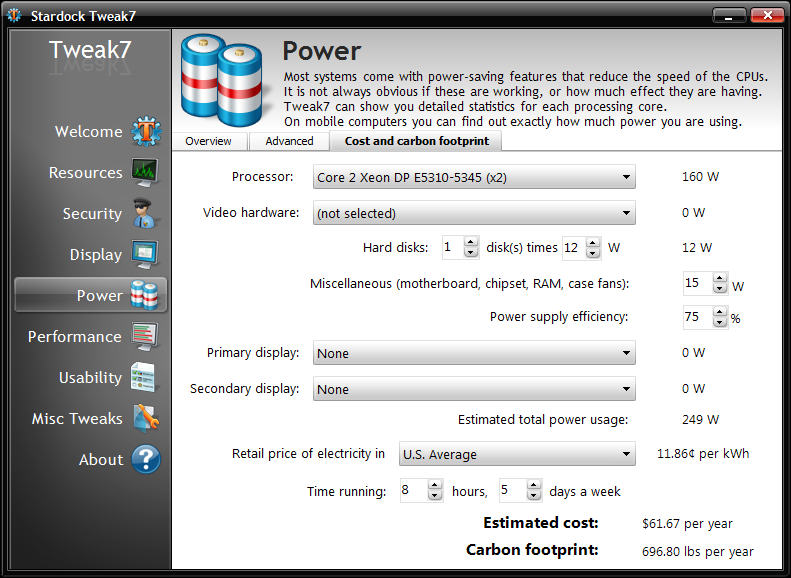 When a user clicks on a program name Tweak7 returns information about that process to help in deciding what to leave running and what to shut off. 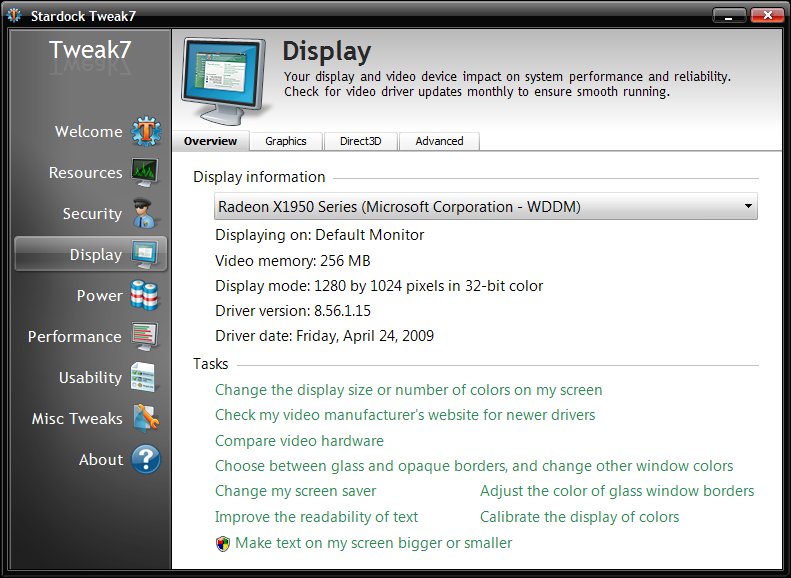 Recommendations - Automatically evaluate all aspects of your Windows 7 configuration with detailed, yet easy to understand, suggestions provided to help you get more control over your Windows 7 PC. 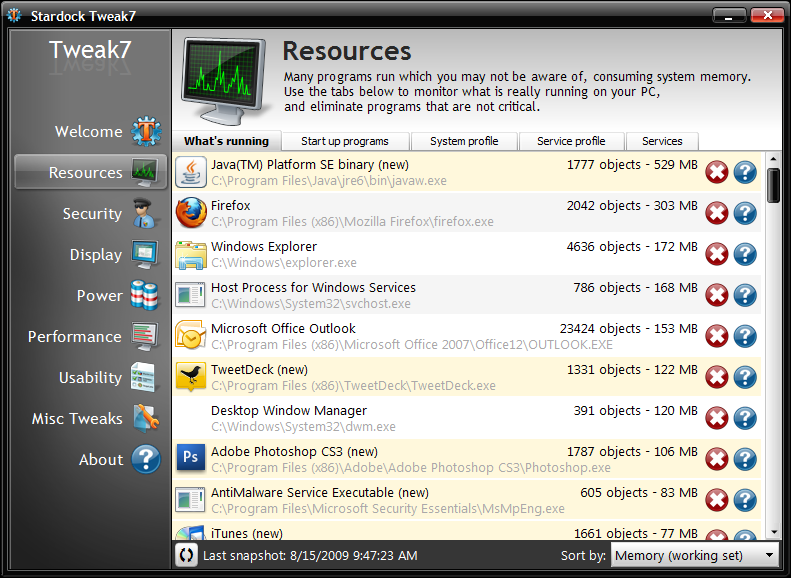 Assessment Comparison - Tweak7 allows the user to use Windows 7's built in Assessment information to compare their computer against other Tweak7 users. Data can be anonoymously uploaded and compard against averages and top scores. Startup Analysis - By utilizing the startup monitor built into Windows 7 to analyze problems; processes that take longer to start or shutdown are flagged for review.